I am a self-taught watercolor artist. I have a backround in the graphics arts industry for 18 years as well as broadcasting and communications. My style is Impressionism with a fast and loose approach, painting wet in wet. I love watercolors with the spontaneity and the flow of the water and the sometimes unexpected results. I typically only use 2 brushes, a large Japanese Hake brush and a small brush for details. It's a challenging medium, one in which you never stop learning. I typically paint from my imagination or from a photo. 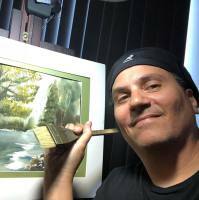 You can watch me paint on my You Tube channel. 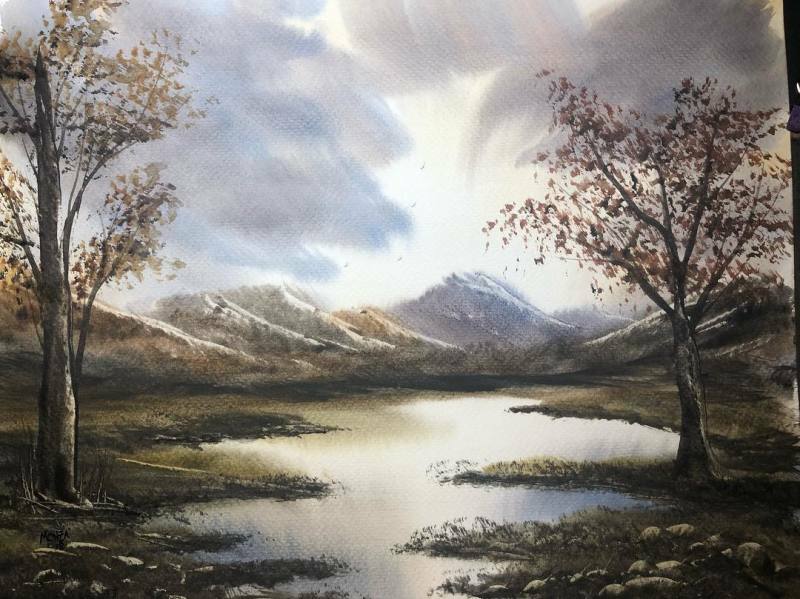 I mostly like to paint landscapes in watercolor that have dramatic lighting or atmospheric pieces with bold colors not typically seen in watercolor. My art and some of the supplies I use are available in my Ebay shop. I hope you enjoy my work. Click Here to Visit my EBay Shop!